Following on from the success of the Rio 2016 Olympics, Taekwondo’s talent I.D campaign “Fighting Chance” makes a return this weekend with the first stage of assessments at the National Taekwondo Centre. More than 200 hopefuls are set to arrive in Manchester with the aim of becoming a GB Taekwondo athlete on the Olympic Pathway programme in Manchester whilst potential Para-Taekwondo athletes will also come under the spotlight in the weeks to come. The assessment event includes a range of physiological testing as well as taekwondo sparring and will give GB Taekwondo’s High Performance Coaches the opportunity to consider the potential athletes first-hand. Two-time Olympic medallist, Lutalo Muhammad and World Championships silver medallist, Damon Sansum were both chosen through the first Fighting Chance intake. Whilst European Games Champion, Lauren Williams, World Championships bronze medallist, Rachelle Booth and European Games Champion Charlie Maddock were selected through the ‘Battle for Brazil’ search in 2013. 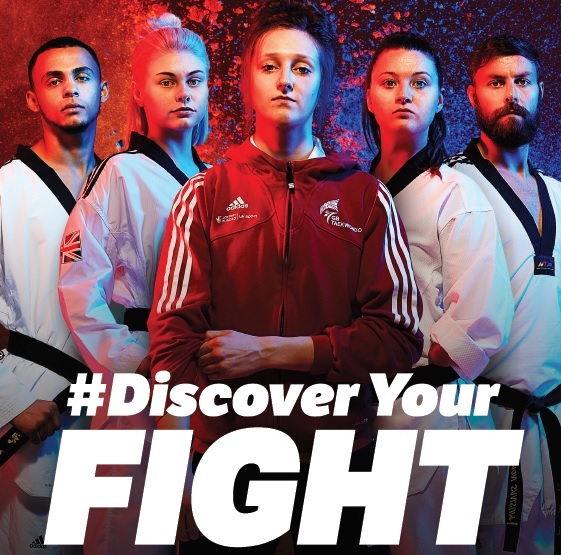 Fighting Chance form’s part of UK Sport’s nationwide ‘Discover Your Gold’ series which is the biggest multi-sport talent identification campaign in British history and for the first time includes a talent search for Para-Taekwondo athletes too.